Samantha Briggs, who along with her partner currently fosters two brothers aged 8 and 10, and has done so for almost 6 years. This was initially meant to be a short-term placement but Samantha then decided to take the two children on as a long-term fostering placement, and hasn’t looked back. Samantha has joined several others who currently foster in attending information evenings, meeting those who have shown an interest in fostering who are looking to learn a little bit more about the process, and the experiences of those who are currently looking after foster children can provide a real insight into the experience. “When people ask why I do it, it’s because I am able to. You’ve made that difference and helped a child feel happy and secure, and although there are challenging moments as with any child, just seeing that smile or when they give you a hug, you know you’ve made a huge difference. Samantha talked about the support available to those who decide to foster, ranging from the ongoing support provided by social workers, to the Blackburn with Darwen Foster Care Association, of which Samantha is Secretary. Executive Member for Children’s Services, Councillor Frank Connor said: “Becoming a Foster carer allows you to make a huge difference to children’s lives, providing them with the opportunity to thrive in a stable and loving home. “There is extensive training and ongoing support provided to foster carers, with a network which ensures there is ways to ask any questions or concerns you may have. “It really does have the potential to change your life too; it is a paid and professional role which is also an extremely rewarding experience, providing the opportunity to have a positive impact on young people’s lives. 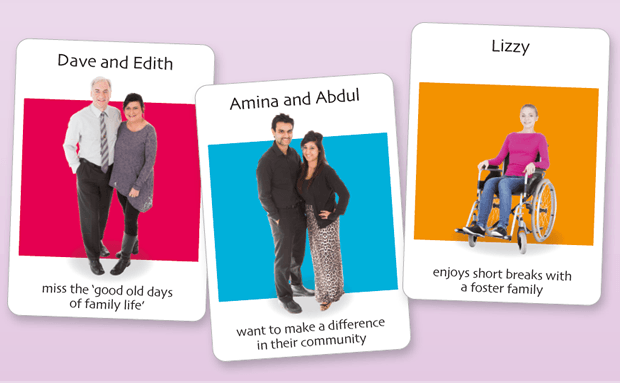 The fostering team will be at The Health Expo at Blackburn Cathedral on 18th September from 10am until 4pm and the next Information Evening is at Shadsworth Childrens Centre, Shadsworth Road, Blackburn, BB1 2HR starting at 6pm where you can find out more information, from an informal chat about fostering to a full presentation at the Information Evening, we are also providing an opportunity to drop into Duke Street and speak to our recruitment officer, Linda Heatley from 12 noon until 2pm on any Wednesday from 10th September.